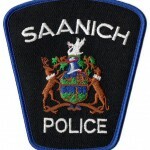 Saanich police have arrested three men that they believe are responsible for up to 18 major robberies throughout Vancouver Island. Thieves have been very active on the island in recent months doing everything possible to disable alarm systems so they can spend the night within the business uninterrupted. The arrests came after the thieves encountered a sophisticated alarm system, which police say is “the sole reason these guys were caught”. During previous weeks, these thieves would arrive after midnight, enter the business and then disable the alarm system as quickly as possible during the 30 second delay on most alarms that allow people to enter their code before setting off the alarm. The thieves were quite successful week after week; cutting phone lines, cable lines, power and even smashing alarm system components to ensure that no noise was made and nobody could be alerted. On August 12, 2011 they finally encountered an advanced security system from Price’s Alarms and the B&E spree has come to an end. Technology has changed through the years and so has the sophistication of thieves. To counter that, Price’s Alarms offers three different types of advanced communication modules that keep communication lines open even when the systems are quickly disabled, lines are cut or even power is knocked out. These advanced communication systems are not expensive and should be considered a standard component in any commercial security alarm. After 18 robberies, these thieves finally met their match with an advanced security system from Price’s Alarms. We haven’t put an end to crime in British Columbia but these thieves have been caught and hopefully won’t be back on the job any time soon. If you have a business or are looking to arm a new business, will you opt to save a few dollars per month or will you pay a little bit more to ensure that your business is secure? These advanced security systems are available to both residential and commercial customers and are available as three different products. Call Price’s Alarms and ask about cellular backup systems and how you can provide the best level of protection in your home or business.